Don’t let an insurance company tell you what your motorcycle injury claim is worth. Instead, work with a Provo motorcycle crash lawyer and get full compensation. Because the injuries that result from a motorcycle crash are so catastrophic, it’s important to make sure that you get treated fairly in the aftermath. The insurance company, whether it’s your own or another driver’s, will be primarily interested in limiting what they have to pay you, as doing so will save them money. Your insurance will probably lowball your offer, while another driver’s insurer will likely try to blame you for the wreck. By working with a Provo motorcycle accident lawyer from Craig Swapp & Associates, you prevent these companies from taking advantage of you, ensuring that you get the settlement that you are rightfully entitled to. Before you ever accept a settlement offer, it will be essential to first determine what your claim is worth. The type of injury you suffered in the motorbike wreck will be the single greatest factor here, as it will indicate the medical care that your recovery will require, how long your wounds will affect you, and how your quality of life will be negatively impacted non-financially. A brain injury, for example, could greatly reduce both your cognitive and motor functions. This could make it impossible to work and take part in activities that you once enjoyed. Your marriage and personal relationships could suffer, all at a time when your condition requires special medication and ongoing medical care. Similarly, amputations and spine injuries are both commonly seen in motorcycle wrecks. Either of these injuries could greatly inhibit your mobility, forever changing your life. You’ll need prosthetics or special mobility equipment in order to get around, and might even need a new handicap-friendly vehicle and home modifications. All of these expenses and losses are things that you shouldn’t have to suffer when someone else was at fault for causing the motorbike crash. Whether you need to seek compensation from another driver, a parts manufacturer, or a government agency, your Provo motorcycle accident lawyer will ensure that your claim gets treated with respect and fairness. Insurers and opposing attorneys often try to portray motorcyclists as reckless drivers, thereby implying that you are somehow responsible for causing your own crash. They do this because the more of the fault that they can pin on you, the less they’ll have to pay you. This makes it crucial to work with a capable attorney who can build the most compelling case possible. By doing so, we can limit the amount of fault that you are found responsible for and get you the largest settlement possible for your motorcycle wreck. 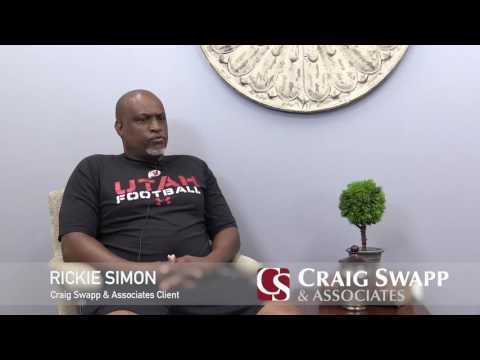 By scheduling a free consultation with a Provo motorcycle accident lawyer from Craig Swapp & Associates, you can find out how strong your claim is and how much the insurance company should really be paying you. To get started on your personal injury claim, give us a call at 1-800-404-9000 or reach us online through the contact form below.